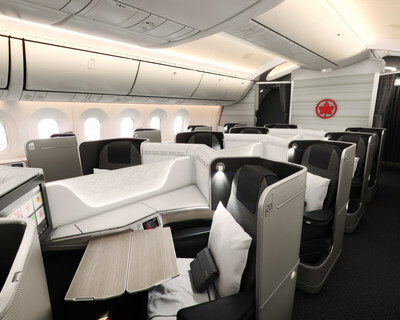 MONTREAL, April 2, 2019 /CNW Telbec/ - Air Canada today was named the North American airline with the best Business Class by TripAdvisor's Travellers' Choice Airlines awards for 2019. "We are very pleased that TripAdvisor's reviewers recognized Air Canada in its Travellers' Choice Airlines awards for Best Business Class in North America. We know our premium customers place a high value on convenience and comfort when in airports or onboard, and this award shows that our customers, whom we thank for their continued loyalty, appreciate the investments Air Canada is making," said Lucie Guillemette, Executive Vice President and Chief Commercial Officer at Air Canada.